Chelsea PTO Parts and Manuals. Mack Transmission Parts. New, used and rebuilt for sale. Pro Gear and Transmission Inc. is the largest source for parts on the Internet today. Our distribution centers will deliver your parts to your shop or job site quickly and easily. Mack truck Maxitorque ES transmission parts. 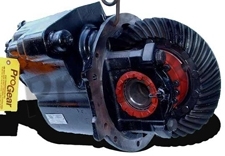 We stock all: 5, 6, 7, 8, 9, 10, 12, 13, 15, 18 and 20 speed Mack transmission parts, bearing kits and more. If you are looking for Mack transmission parts, visit our newly opened online truck parts store to order all the parts you may need. Mack Trucks, Inc. is a truck manufacturer in America with its headquarters in Greensboro, N.C, but the manufacturing plant is located in Lower Macungie Township, Pennsylvania, with two others located in Middletown, PA. and in Dublin, VA. truck parts for vehicles that have a right-hand drive for overseas are made in Brisbane, Queensland in Australia and made ready for worldwide distributing for sale. Mack Trucks started in 1890 when John M. Mack started working at a company that made wagons and carriages in Brooklyn, New York called Fallesen & Berry. Two years later his brother, Augustus, bought the company and a year later the third brother, William, joined in with them. In 1902 was renamed the Mack Brothers Company and they began making buses. Only seven years later a new one and a half ton truck was introduced by the company. By 1910 two more Mack brothers, Joseph and Charles, had joined the company and it was making locomotives and rail cars, as well as buses and trucks. The following year, they merged with the Saurer Motor Truck Company to form the International Motor Truck Company (IMTC). In 1916 they made the new Mack AC trucks, and shortly afterwards, more than 40,000 of these models were sold. Over the next few years, this innovative company was the first to put air cleaners, oil filters, power brakes, and drive shafts into their trucks. By 1922 the name changed back to Mack Trucks, Inc and they had adopted the corporate symbol now associated with Macks, the beloved bulldog. During the 60s the truck manufacturer made their R and U models, which were meant for running on the highways, as well as their RD and DM models, which were used by the construction industry. By 2005, the RD, RB and DM models were discontinued and were replaced by the Granite model, which is also used in the Mexican Army for usage as a Troop and Utility truck using a slightly different configuration. The 60s also saw the creation of the Maxidyne truck series in 1968, which was considered an industry changing event. This was due to the fact that the Maxidyne made it possible for heavy duty trucks to run with only a five speed transmission called a Maxitorque, when before this time these type of trucks needed 10 gears at least to operate. In 1990, Mack Trucks was a subsidiary of Renault Vehicules Industriels (known as Renault trucks in 2002), and they joined in with Volvo AB of Sweden in 2001. The company had a record sales year in 2006 and moved to North Carolina in 2008. These days Macks are a very well known brand of off road trucks and other vehicles in the class range of Classes 8-13. Mack Trucks are sold in more than 45 different countries worldwide and are considered the most popular maker of heavy duty trucks on the road today. When you hear the phrase, “build like a Mack Truck,” it stands for durability and strength. The company has held itself to high standards its entire existence and continues to do so today as they have in their more than 100 years of service to their customers.